The First Aid at Work course is designed for people who work in high risk environments, such as construction or manufacturing. This course teaches trainees how to treat someone who is unresponsive, choking, bleeding, burnt, suffering from shock, having a seizure or suffering from a head injury. 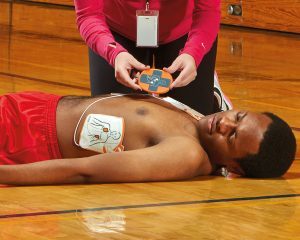 It also covers medical emergencies such as heart attacks, strokes, asthma attacks, and anaphylactic shock. The course also includes important information on dealing with an emergency, such as assessing an incident, helping and monitoring a casualty, and getting further help.